Found 10 file extension associations related to Petrosys and 8 file formats developed specifically for use with Petrosys. 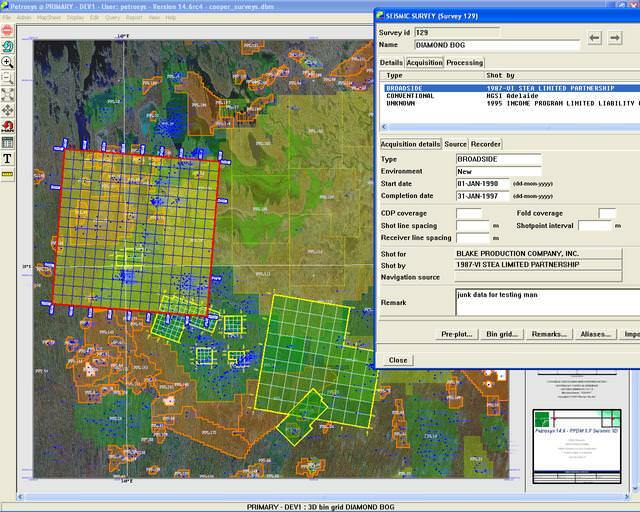 The Petrosys 2D map and 3D visualization canvases provide well, seismic, surface and GIS specific tools to display the information that you need to focus your exploration outcomes and develop your assets. Petrosys gridding calculates surfaces directly from well, seismic, and other spatial data in a geoscience tailored manner. It integrates time, depth and attribute information to visualize the subsurface and compute volumes. Successful petroleum exploration and development requires use of a range of specialized applications that need to share the same data, ideally synchronized through a master data store. If you need more information please contact the developers of Petrosys (Petrosys Pty Ltd), or check out their product website.